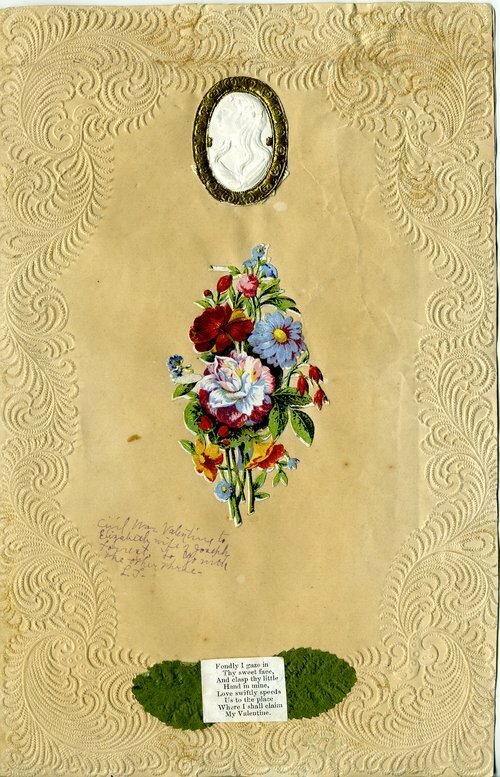 Joseph Forrest sent Valentines to Elizabeth Ehrhart during the Civil War. They were residents of Macon County, Illinois, and became engaged in 1858. Joseph enlisted on July 25, 1861 at Decatur, Illinois and fought as a private with Co. A of 8th Illinois Volunteer Infantry. The couple married Aug. 9, 1863. The Forrests moved to Jewell County, Kansas in 1872, where Joseph served as a Methodist Minister. In 1875, they moved to Minneapolis, Kansas.